At 10:00 PM on 15 December 2013 shooting broke out in the barracks of the Sudan People’s Liberation Army (SPLA) Presidential Guard in Juba, capital of the fledgling state of South Sudan, after Nuer soldiers resisted being disarmed by their Dinka colleagues. Dozens of soldiers were killed before the Nuer soldiers retreated, after which Mathiang Anyoor, a militia loyal to President Salva Kiir made up entirely of Dinka from his home area, began systematically slaughtering unarmed Nuer civilians in the capital. The num­ber of people killed is unknown because Hilde Johnson, the head of the United Nations Mission in South Sudan (UNMISS), the only organization in the country capable of gathering such figures, made an executive decision not to count the dead, although she subsequently said they numbered in the ‘thousands’. The same forces also attacked the house of the country’s Nuer vice president, Dr Riek Machar, who was accused of attempting to carry out a coup and for being responsible for the ensuing killing spree. This was not only belied by the fact that he and his wife, Angelina, were forced to flee the assault in their pyjamas and eight members of their household were killed, but also by an African Union Commission of Inquiry which subsequently concluded that ‘the evidence does not point to a coup’. Instead, the evidence suggested that Riek was the target of an assassina­tion attempt by forces loyal to the president. Through cell phones and social media knowledge of the Juba killings quickly spread to the global Nuer community and to Greater Upper Nile, where most of the Nuer lived. Thousands of Nuer youth self-organized as a white army mobilized and were joined by Nuer soldiers who had defected from the SPLA. On 18 December – only three days after the Juba killings commenced – they captured the Jonglei state capital of Bor and began marching on Juba. Fearing a humanitarian disaster when the ill-disciplined and revenge-seeking Nuer youth reached Juba, the US and other Western states warned Riek to stop the attack or face charges before the International Criminal Court. The US also endorsed Ugandan President Yowri Museveni’s decision to send his army to Juba to protect the inhabit­ants and the government. Later, these forces were deployed to government towns across Greater Upper Nile where they fought the rebels. In fact, Museveni was more concerned with ensuring that, given its influence over the Salva-led government, the Islamist government in Sudan did not take advantage of the rapidly deteriorating situation to exert control over the government and pose a threat to Uganda. But Museveni’s fears were over­come when Riek convinced the regular forces under General Peter Gadet to temporarily stop their attack and that of the white army. Museveni’s role in the defence of the Juba regime, the politics surrounding the peace process, and the advance of Uganda’s interests while supposedly playing the cat’s paw for his US sponsors, show a man adept at political manoeu­vres in the region. Based on the mistaken assumption that Riek was in full control of the various forces that launched the largely spontaneous attacks against government positions across Great Upper Nile, the Western sponsored regional security organization, the Inter-Governmental Authority on Development (IGAD), invited him and Salva to participate in a peace process which focused on re-dividing state power among the SPLM elites that caused the war. Instead, the appeal of the common Nuer, which neither IGAD nor its Western backers ever responded to, was the answer to the question of why their people were attacked in Juba. As a result, those who fought the insurgency were never represented in the negotiations and the reason they took up arms against the government – the Juba massacre – was never considered. For the US, which Secretary of State John Kerry said had ‘midwifed’ the independence of South Sudan only two years previously, after supporting a long peace process and spending enormous amounts of money in the country, the war was both shocking and humiliating. The US had claimed the peace agreement that ended the war in Sudan and granted independ­ence to South Sudan in 2011 was a major foreign policy success at a time when its various political and military involvements in the Greater Middle East had been failures. Over the next five years almost half of the country’s 11 million peo­ple were displaced or made refugees in neighbouring countries, tens of thousands were killed, the towns of Greater Upper Nile were destroyed as they repeatedly changed hands, and the largely oil-based economy all but collapsed. The first IGAD initiative failed in March 2015, but a second expanded initiative produced an agreement in August 2015 between Riek, who again became the First Vice President, and Salva, who retained his position as president. However, Salva made clear he had only accepted the agreement under duress and threw up numerous obstacles to its imple­mentation which the international peace-makers did nothing to overcome. A resumption of the war was entirely predictable and on 8 July 2016 fight­ing broke out between government soldiers and the handful of Sudan Peoples Liberation Movement – In Opposition (SPLM-IO) fighters in Juba, after which the SPLA attempted to kill Riek, slaughtered many more Nuer civilians in the capital, and forced thousands into UN camps. Riek and his soldiers were forced to evacuate the capital and began what became a 30-day march to the Congo and safety. Meanwhile, Salva appointed the SPLM-IO’s defecting Taban Deng Gai first vice-president in breach of the peace agreement. And with US support it attempted to isolate Riek in the region and achieve an internal peace. Instead the war intensified and spread from Nuer-inhabited Greater Upper Nile to Western Bahr al Ghazel and the Equatorial states where it increasingly took the form of genocidal attacks by government forces against civilians who in turn launched similar attacks on Dinka civilians. But behind a tale that could be understood as another African tribal conflict and failed efforts by the US government to stop the killing was a tragedy that was the result of long US support for the SPLM and the Juba government. This despite overwhelming evidence of its administrative incompetence, massive corruption, and systemic abuse of human rights. The US government and various academics and researchers also perpetu­ated the false narrative that Riek Machar was a militarist and the primary cause of the conflict. 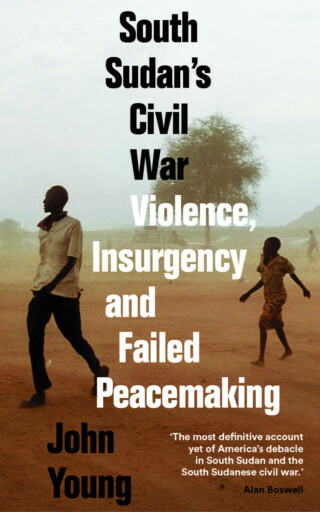 The negative US role in the conflict reached its peak after it gave up on a peace agreement that it had devoted two years to reaching and another year to implementing in favour of giving tacit support to the Juba SPLM government’s campaign to defeat the rebels militarily, which resulted in the killing of thousands of innocent civilians and the displacement of hundreds of thousands more. But US hopes that the Salva government could militarily defeat its ene­mies proved misplaced, the war continued and spread, and Riek remained the leader of the largest opposition faction. For the US government the descent of the SPLM regime into war was both an embarrassment and a refutation of the analyses and assumptions upon which Presidents Clinton, Bush, and Obama based their policies on Sudan and South Sudan. It also represented the collapse of an illusion perpetuated by a host of largely American lobbyists as to the character of the SPLM, the state it dominated, and the conviction that Western liberalism could develop roots in South Sudan.